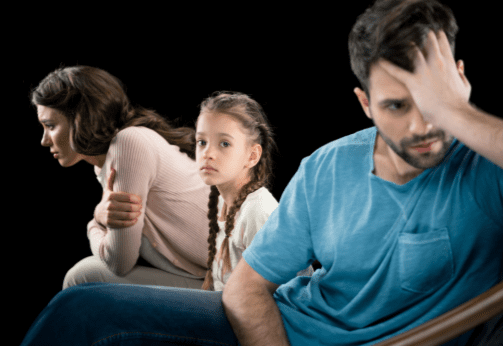 Marital and family issues are often difficult. Your life is changing. Know your rights and protect your future. We are here to help. We strive to make your divorce and/or other family issues easy on you. We are committed to meeting your goals without undue burden and expense. 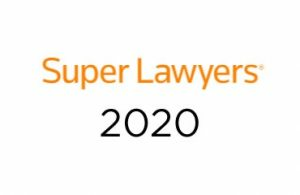 We will be your advocate, your voice, your legal counsel, and will work diligently to ensure the best possible outcome for your future. 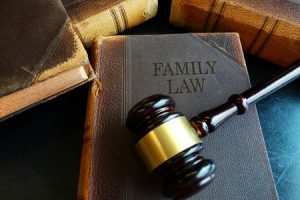 Dealing with family conflict is emotionally draining, especially when you need a lawyer to help resolve the dispute. 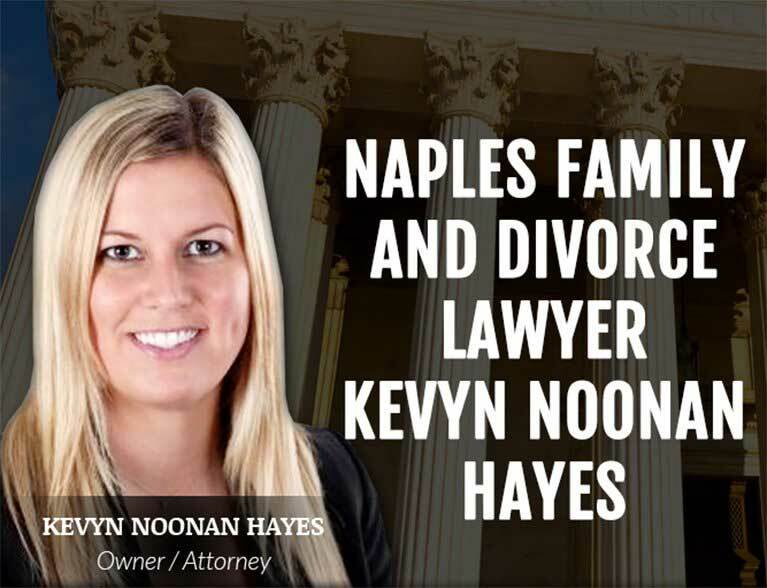 At the Law Office of Kevyn Noonan Hayes P.A., we are committed to helping you navigate through this difficult time in your life. Whether you are considering a divorce, want to modify a child custody or time-sharing arrangement, or need to take action against someone refusing to comply with a legal order, We have the resources and skills to achieve a favorable outcome. We understand that family law issues are highly sensitive matters. From the moment you walk through our doors, we will do our best to put you at ease. Call us today 239-591-6248 to schedule a consultation. We will work with you to achieve the future you envision for yourself and your family without undue burden and expense. Our team will listen to your hopes and concerns and craft practical and creative solutions tailored to your needs. You can count on us to be your advocate, your voice, and your legal counsel. Our goal is to safeguard your interests, maintain your financial security, preserve your parental rights, and ultimately get you the closure you need to move forward in your life. Under Florida divorce law, there are certain criteria that must be met to be eligible for a dissolution of marriage. You or your spouse must be a resident of Florida for at least six months prior to filing for divorce. To prove your residency, you are required to provide either a valid Florida driver license, a Florida voter’s registration card or the affidavit of a third party. Florida is a no-fault state and does not require evidence to prove that someone committed wrongdoing in the marriage. All you need to do is plead that your marriage is “irretrievably broken” or that your spouse has been mentally incapacitated for at least three years. The only time fault may be used in a divorce proceeding is during negotiations related to alimony payments. Which Type of Divorce Fits Your Situation? There are three types of divorces in Florida: simplified, uncontested, and contested divorce. Similar to a simplified divorce, an uncontested divorce is a good option if you mutually agree on how to resolve all financial and children-related issues. When you are willing to meet each other halfway, you avoid the expense, stress, and hassle of going through all the steps in a traditional litigated divorce. Here at the Law Office of Kevyn Noonan Hayes P.A., we can draft a marital settlement agreement that incorporates your final decisions and the agreement can be included in the Petition for Dissolution when filing. If you and your spouse cannot reach compromise on the issues relevant in your divorce, you will find yourself in a contested divorce. These cases often take negotiating between the attorneys on the case, can include mediation, and sometimes proceed to trial. A trial is where a judge makes decisions on whatever issues cannot be agreed upon The complexities of a contested divorce require an experienced divorce lawyer who can effectively negotiate and aggressively litigate on your behalf. Our firm can deliver these skills at every stage of the process. To officially begin the divorce process, you need to file a petition for the dissolution of marriage with the Clerk of the Circuit Court. 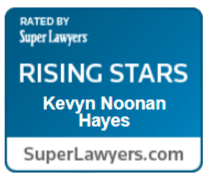 The Law Office Of Kevyn Noonan Hayes P.A., can do this online for you. 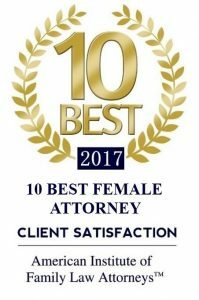 The petition includes basic information related to your marriage (your name, date, and location of marriage, whether children are involved) and also allows you to set forth your requests for what you are specifically seeking in your divorce (sole or joint custody, possession of the marital home, etc.). 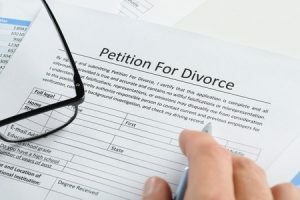 Once the petition is filed, you must notify your spouse or “serve” them with the divorce papers. This is usually done via a process server or Deputy Sheriff. Your spouse will have 20 days after being served to file an answer and/or counter-petition with the court. If they do not respond, you can proceed with a default judgment of divorce. After the petition and counterpetition are filed, the divorce enters the discovery phase. It is during this time that you and your spouse engage in mandatory disclosure and exchange information regarding your assets, liabilities, income, and expenses. This lets you both put all your cards on the table and sets the foundation for how child support, distribution of property, and alimony issues will be resolved and/or calculated. The Law Office of Kevyn Noonan Hayes P.A., can help you prepare the required financial affidavit and, if necessary, will utilize certain tools to demand full financial disclosure from your spouse. These may include interrogatories, requests for production, depositions, and subpoenas. While your divorce is pending, you may need to ask the court to issue temporary orders for such things as time-sharing with your children, alimony, use of the family home, etc. These orders can give you a sense of stability and certainty until your divorce becomes final. In Collier County Unified Family Court, a process called mediation is required before proceeding to trial. 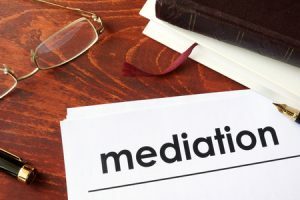 Mediation involves a third-party mediator who facilitates communications between you and your spouse in an attempt to negotiate and settle your case outside of court. A mediator will give you useful tools to reach an agreement on all of your remaining contested issues. This is a confidential process meant to give you the opportunity to control your own destiny versus letting a judge decide your future. 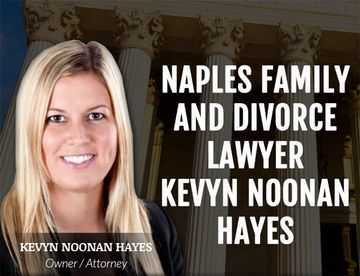 The Law Office of Kevyn Noonan Hayes P.A., can represent you at mediation and review the mediation agreement to make sure your rights and interests are protected. If you reach a settlement agreement through negotiation or mediation, there is no need for a trial. In fact, you don’t even need to attend a final hearing for the judge to finalize the divorce. Going to trial should always be the last recourse after attempting negotiation. It can be expensive, stressful, and take months for a trial date. Divorce trials are bench trials in Florida where a judge hears both sides and decides the outcome of your case. 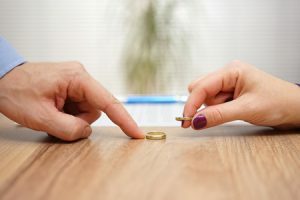 Dividing marital property in a divorce can be accomplished in one of two ways: You and your spouse can negotiate a mutually beneficial property settlement on your own, or you can have a judge decide who gets what. What constitutes as marital property? Any property (assets, debts, liabilities) that was acquired, purchased, or earned during the course of your marriage is considered marital property, regardless of who purchased it at the time or whose name it’s in. tangible personal property (jewelry, guns, art, household furnishings, pets). Florida is considered an equitable distribution state which means the court views marriage as an equal partnership. Therefore, marital property is subject to a 50/50 split. Although an equal distribution is the presumed starting point, a judge can decide to award a greater percentage of assets to one spouse over another in certain situations. Any assets and liabilities you acquired before your marriage will remain your property and your responsibility. This is referred to as non-marital property or separate property. Non-marital property can also include inheritances, as well as gifts given from one spouse to the other. Alimony is requested when one spouse seeks financial support from the other. 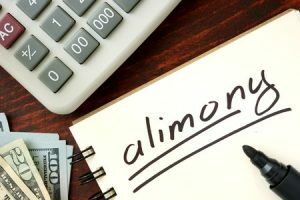 If you plan on seeking alimony in your divorce, you must demonstrate a financial need. This could be the inability to pay monthly bills and/or maintain the same reasonable standard of living you enjoyed during the marriage. Conversely, if you are the spouse being asked to provide spousal support, a judge won’t order alimony if you would become financially strained or if the receiving spouse has more net income. A pre-agreed upon amount paid all at once or in installments; meant to balance out the distribution of assets in a marriage. A “Parent Education and Family Stabilization Course” is required for parents getting a divorce. You must choose from a list of courses approved by the Department of Children and Families. These online courses usually last four hours and must be completed within 45 days. The decisions made by you and your spouse in a divorce can shape the lives of your children for years to come. At the Law Office of Kevyn Noonan Hayes P.A., we are committed to helping make this transition as smooth as possible for them. The family courts in Collier County advocate shared parental responsibility and want both parents to remain involved in their children’s lives. The judge will want to see that you have a parenting plan in place detailing how you will co-parent after the divorce. a time-sharing schedule detailing the amount of time each of you will spend with your children. This includes the number of overnight stays you each will have, as well as who has the kids on holidays, birthdays, school breaks, etc. In addition, you need to outline how you and your spouse plan on making key decisions on behalf of your children, such as where they will go to school, what doctors they will see, what religion they will practice, etc. The Law Office of Kevyn Noonan Hayes P.A., can help you structure and negotiate a favorable parenting plan that is tailored to fit the specific needs of your kids. Whether you are the one seeking child support or paying child support, The Law Office Of Kevyn Noonan Hayes P.A., will make sure the payment amount is fair and reasonable. 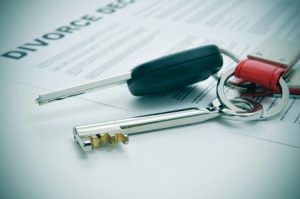 If you experienced a substantial change in circumstances since your divorce was finalized, you may decide that you need to modify the original terms of your divorce. or another major life change. 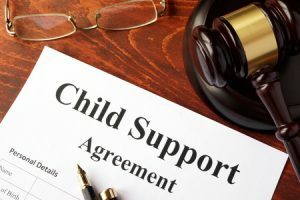 The Law Office of Kevyn Noonan Hayes P.A., can file a motion to pursue modifications for child support, alimony, parenting plans, or time-sharing. 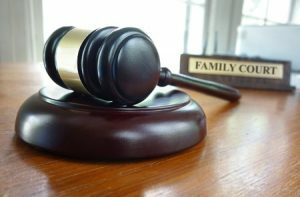 Is your spouse or child’s parent in violation of a court order? If so, we can file a motion to enforce the current order and request the party to be held in contempt.